In the city of Guadalajara, Castilla La Mancha the exhibition is open to the public from 11.00 – 14.00, Monday to Friday in the Teatro Auditorio “Buero Vallejo”, Calle Cifuentes, 30. In Asturias, the larger of the two exhibitions can be visited in the town of Belmonte de Miranda from 11.00 – 14.00 and from 16.00 – 20.00, every day. 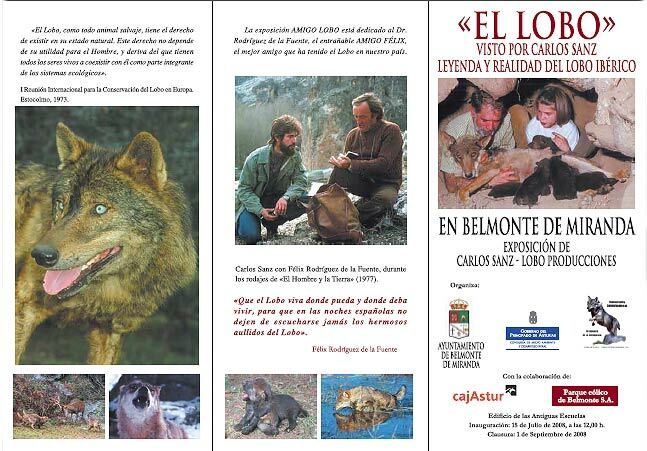 An exhibition starts tomorrow, 4th of March, 2008 in La Casa Encendida, Madrid (Ronda de Valencia, 4) of the photographs taken automatically by Fapas as part of their photographic monitoring work of the Cantabrian brown bears. Continuing through ’til the end of the month, the exhibition will be kicked off on the 4th at 19:30 with a talk by Alfonso Hartasanchez on his work tracking the bears by cameras mounted in the Cantabrian mountains.